An effective solution for continuously monitoring your live view from your cameras and controlling them on an external screen of any size. The NetRex Surveillance Station is an effective solution for monitoring live view, managing recordings and controlling your Axis IP cameras. Whether on a monitor in a shop, from the office of your operation, or for central surveillance over all of your locations. The surveillance station consists of a modified high-performance mini computer with special firmware that can be connected to any monitor with DisplayPort / HDMI interface. Thanks to its small size, the station can be placed on the back of the monitor or in its immediate surroundings. The NetRex Surveillance Station serves both as crime prevention, as well as a marketing or management tool. 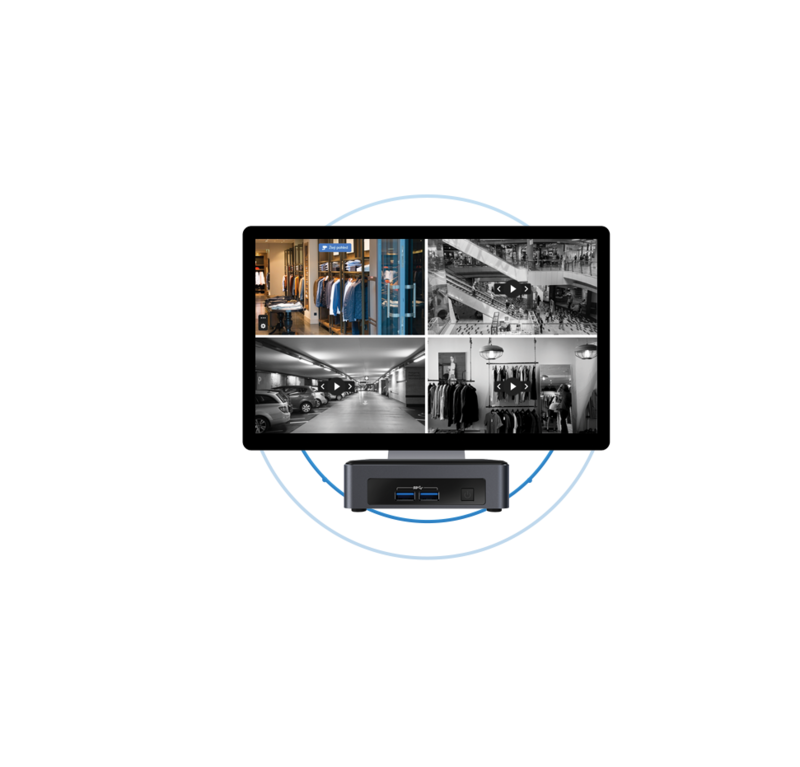 In conjunction with an LCD or plasma panel, the station allows you to keep everything in shops, warehouses or other monitored locations constantly under control. And this is thanks to up to 64 cameras that can be viewed on one single station with minimal power consumption. The surveillance station is watching for you. Simple, reliable and environmentally friendly! A good and fast image including sound without the use of an Internet line? With the NetRex Supervisory Station it is possible. When a surveillance station and cameras are placed in the same local area network, a video transmission is performed afterwards. This allows you to enjoy maximum quality and transmission speed. 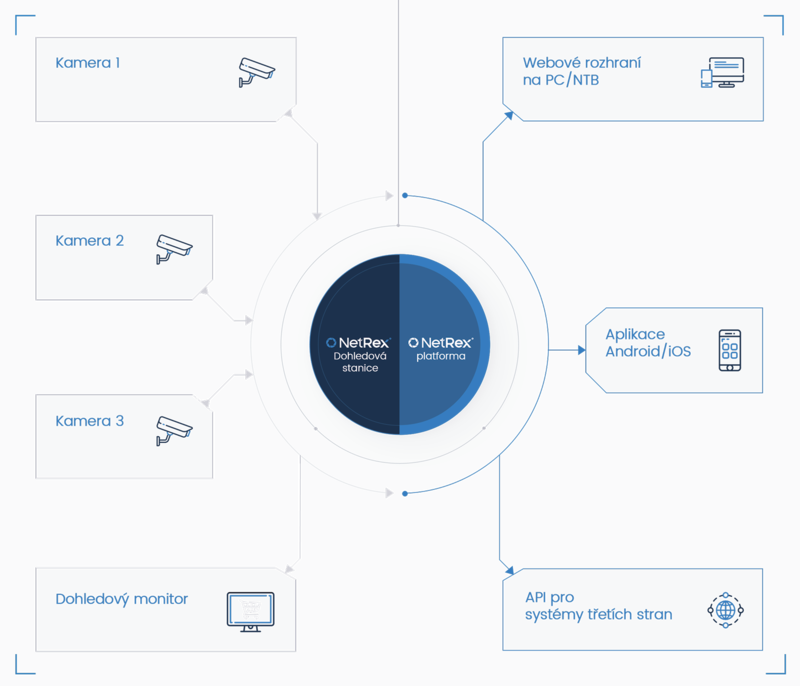 Control of the surveillance station is simple and intuitive. When you first turn it on, just enter the access data, choose a predefined view of the display and then just watch the shops, warehouses and other sites you are monitoring. Control the station easily! Set the scheduling of broadcast shots, cameras, boards and graphs. Plan schedules for individual elements to create a comprehensive monitoring view that lets you see everything and never miss it. The NetRex Supervisor works automatically, so it is not necessary to involve an operator in the entire process. Configuration is performed remotely via the web interface or directly locally. With automation, the station itself will launch even in the event of power outages. Save valuable time for your operator! You can control the NetRex Supervisor with a keyboard, a mouse, or a special Axis T8311 joystick to conveniently control PTZ cameras. 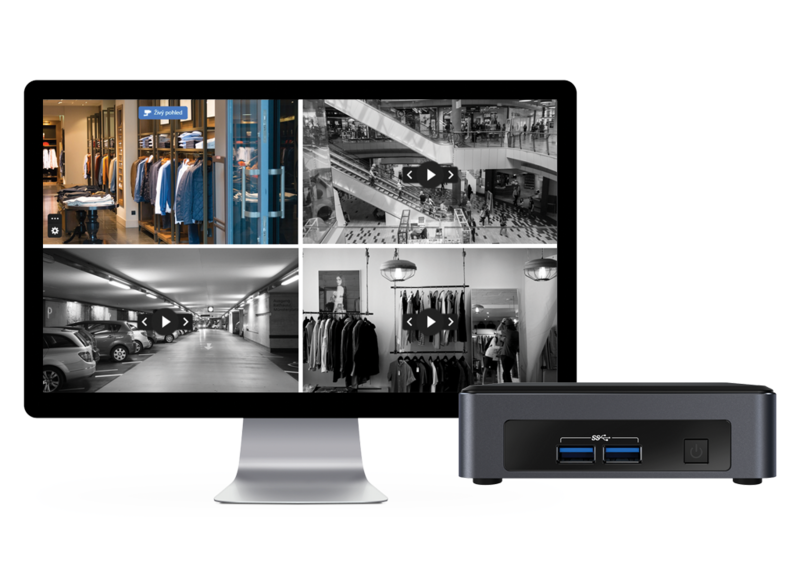 Through the DisplayPort / HDMI interface, you simply connect a small monitor and a large LCD screen or projector. You can have a monitor or a large video wall for a complete viewing experience. Everything exactly according to your needs. For better work with high-resolution recording, we recommend adding the NetRex Box to your infrastructure. This is our designed and harmonized repository that will store all of your recordings in high definition on your local network. The NetRex Box itself can also serve as a surveillance station for live viewing of up to 4 cameras. Choose a solution suited to the size of your business.